SKIN-FLEX® bandages are designed to move like a second skin. Lightweight cross-fibres stretch and flex. Bandage technology is improved with a 4-sided seal that better protects against dirt and germs. And a QUILT-AID™ Comfort Pad wicks away fluids and does not stick to wounds. 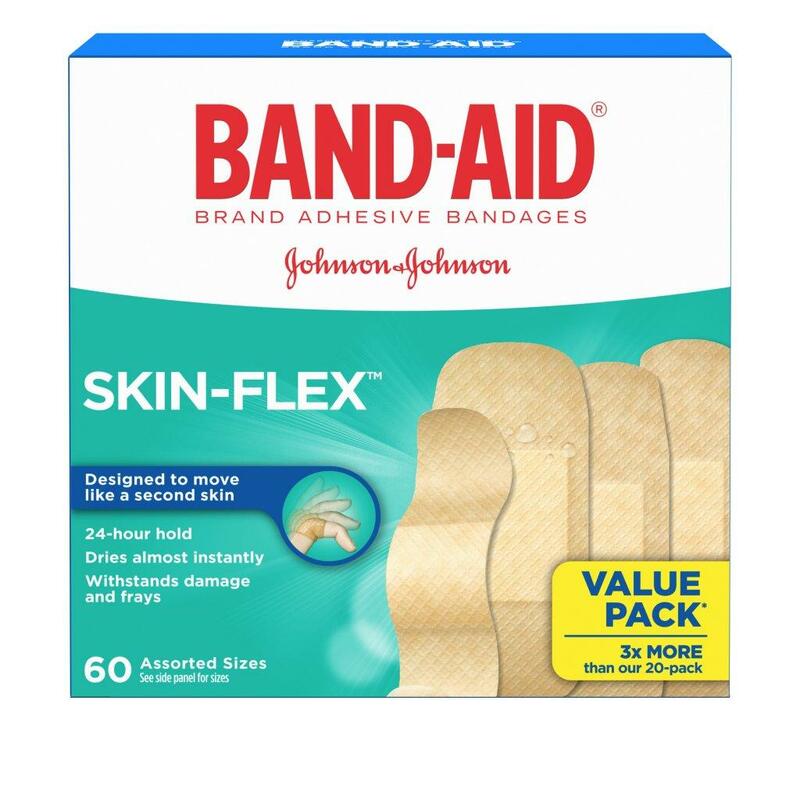 It’s the only BAND-AID® Brand adhesive bandage designed for long lasting durability with exceptional comfort.